Finding a gift that is both personal and practical is no easy feat. One of the best ways to find a present that is the right fit on both counts is to think about what the recipient does regularly on any given day. For many people, the most common routine is to start the day with a hot mug of coffee or to wind down in the evening with a warm cup of tea. Whether the person you’re shopping for can’t live without a daily cup of Joe or is a serious tea enthusiast, one of these relevant gifts could be the perfect choice for any occasion. Although a steaming mug of coffee in the morning might be a necessity, sipping a spiked coffee in the evening is a real treat. Irish coffee lovers who enjoy spiking a mug of coffee with whiskey or Kahlua after dinner, will surely appreciate a special coffee mug to call their own. 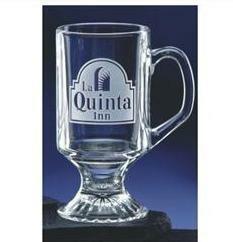 A personalized Irish coffee mug, made from glass, has the distinct design and look of the mug you would get if you ordered an adult’s coffee from a traditional Irish pub. You can opt to have the mug engraved with a name, a special date or just a funny quote that means something to both of you. To really kick up the gift a notch, pair two of the Irish coffee mugs with a bag of whole coffee beans and a bottle of their favorite tipple. While some tea lovers stick to the same variety day in and day out, many folks love the ritual of picking the right tea bag and choosing from a range of different flavors. One morning might be an Earl Grey kind of day, a mid-afternoon pick-me-up might call for a hot green tea and a late-night way to wind down might be a cup of chamomile tea. 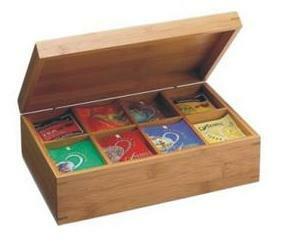 Real tea lovers will love an engraved bamboo tea box that’s much more e than just practical. The box itself is sleek and elegant, looking right at home in any kitchen. Include a variety of teas to give the gift an extra special touch. For commuters who have a long distance to work each day or those who travel by plane a lot on business, there is a good chance a daily dose of caffeine is required to them get going. Instead of sipping and savoring a latte, odds are a cup of java on the go is more likely to be standard for this type. A bamboo travel mug is a fantastic gift for frequent travelers. The mug can be laser engraved with your choice or words, a name or even a logo, and the stylish look of the mug ensures they’ll keep it with them when they’re on the go. Not all tea lovers want their drinks piping hot, so cater to the ice tea lovers with this stunning ice tea tankard and glasses set. Holding up to 54 ounces, the pitcher is the right size for hosts entertaining friends during the summer. Coffee and tea lovers can actually be easy to shop for when you know their tastes. 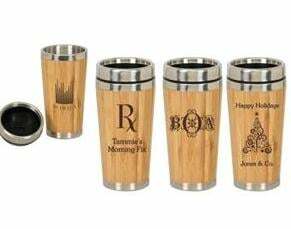 An Irish coffee mug, a bamboo travel mug, a gorgeous tea box or even an ice tea tankard with glasses could be the ideal gift for your friend, colleague or neighbor. Explore our wide selection of gifts for all occasions.